As millions of people across the country waited on pins and needles to find out who would be the final American Idol, thousands of Kansas Citians packed into Sprint Center to watch an American icon and a proud Archbishop of the Church of Rock & Roll perform. To many, the Church of Rock and Roll was founded by Pope Elvis Presley and blessed by Saints Little Richard, Jerry Lee Lewis, John Lennon and Sir Paul McCartney. Like these larger than life performers, Archbishop Bruce Springsteen uses his innate ability to transcend boundaries to bring multiple generations of fans together. Since he dropped his first album, Greetings from Asbury Park, N.J., in 1973, The Boss’ congregation has multiplied a millionfold and his powerful messages of love, hope, sorrow, pain and triumph have been passed down from generation to generation. 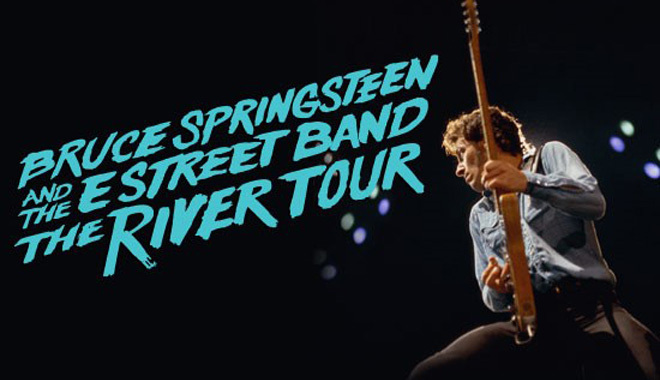 For his sixteenth tour, the Boss and the mighty E Street Band (Roy Bittan, Nils Lofgren, Garry Tallent, Steven Van Zandt, Max Weinberg, Jake Clemons, Soozie Tyrell and Charles Giordano) celebrated the 35th anniversary of Springsteen’s coming-of-age album: The River. Because of this milestone, a bulk of The River tour’s set list is filled with legendary B-tracks and hidden singles from the 20-time Grammy-winning singer-songwriter’s only double album. This marked my first time going to a Springsteen concert and it was one of the most memorable concerts I have ever seen in my 27 years of life. The Boss NEVER LEFT the stage! He was the human equivalent of the Energizer bunny as he palled around with longtime friend Steven Van Zandt and relative newcomer Jake Clemons, who rightfully inherited his uncle: the late Clarence Clemons’s spot in the E Street Band, throughout the evening. This concert was incredibly special to me because this marked the first time that I saw Springsteen with my family. My father, Matthew Elyachar, is one of the world’s biggest Bruce Springsteen fans, and I loved seeing my dad jump up-and-down like a giddy school kid. He sang every single track and to watch the joyful expressions on his face throughout the night put a smile on my face.